Based in the city of Chiang Mai in northern Thailand, Kamin Lertchaiprasert considers art as a process for a better understanding of life and nature, and takes a course of creative activity that emphasizes process, aiming to integrate art and life. His works are often based on real-life experience such as events of daily life and conversations he had with people. After re-apprehending those experiences objectively through his daily practice of meditation, the artist transforms them into his works as diary-like sculptures and drawings. Many of his works depict human figures sitting in meditation which can be interpreted as quotidian portrayals of the artist or the people around him, rather than as representations of Buddha. 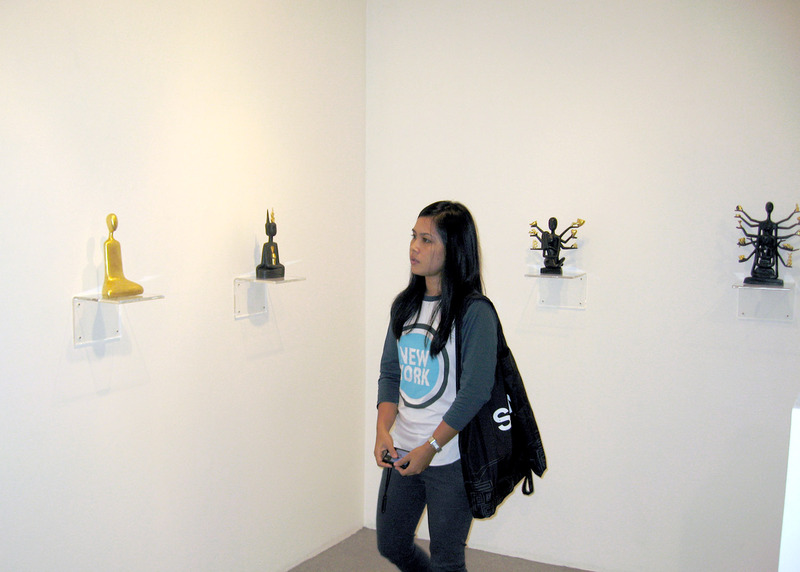 A sequel to his Bangkok solo show of the same title last year is a series of 24 bronze sculptures presented in Beyond… which alludes to natural providence beyond vision and hearing, beyond all human perception. 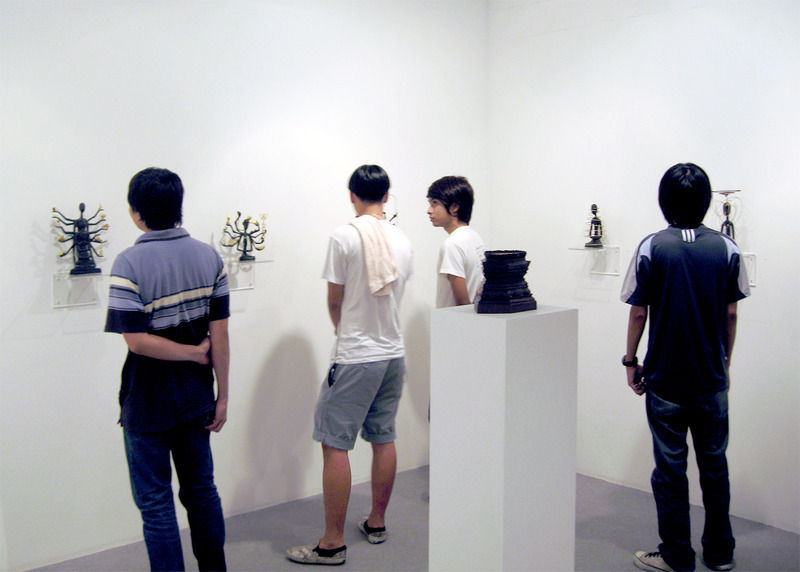 In the drawings exhibited in the Bangkok exhibition, a symbol-like motif was drawn on the front side of a paper, and a meditating human figure on the back. When mounted as a hanging scroll, only the front side with a mysterious symbol was visible. In contrast, in Tokyo, the symbol is hidden, incised onto the bottom of a seated figure. The bronze sculptures were made by craftsmen in Chiang Mai through a traditional casting method handed down from old times. A seemingly unsophisticated coarse finish is left intentionally, an indication that art is not just a pursuit of technical excellence and decorative beauty. For Kamin, art is to question how we can discover an unostentatious essential life. 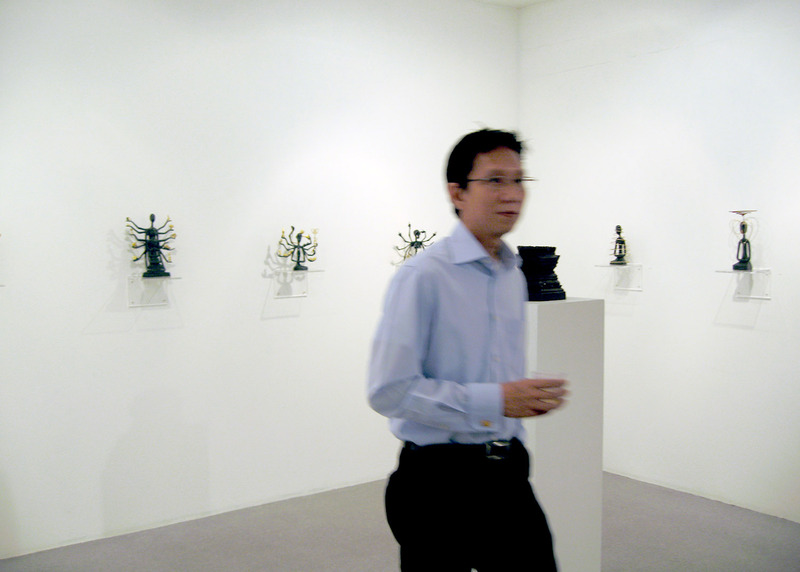 With his unique methodology and practice, Kamin Lertchaiprasert strongly leads the Thai contemporary art scene. Numthong Gallery cordially invites you to experience his second solo show with us, the first in four years.